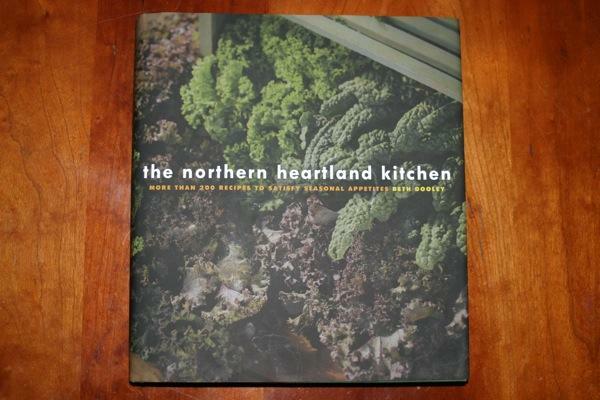 A Few Weeks With "The Northern Heartland Kitchen"
It isn't very often that I use a cookbook. I tend to gaze at them now and then, often for inspiration more than to study how something is done or to check measurements. Therefore, I am surprised at what I am about to say: I love The Northern Heartland Kitchen and since it arrived in the mail, nary a day has gone by when neither my wife nor I has picked it up. At first, it was mere fascination. We could hardly believe that a cookbook was written for us, here, in the middle North of the country. Not only that, author Beth Dooley begins the book with a section dedicated to Autumn, with 41 recipes with tantalizing names; there was fresh chestnut soup, venison medallions with juniper and gin, heartland polenta with mushroom ragout, scandanavian brown beans with a kick, honey pumpkin ginger pie and a cranberry cordial. Plus, with Thanksgiving in the air, I was pleased to see the practical recipes; Thanksgiving bird-fast!, basic sage stuffing, Thanksgiving mashed potatoes and a savory cranberry compote. Needless to say, we dove in. First up, after a peek into the fridge, was to use up the abundance of brussels sprouts. We were immediately drawn to a recipe called, "oven-blasted brussels sprouts". How could we resist. The beauty of this book is the inherent simplicity here. Nothing too crazy, just well-tested and honed recipes with clear instructions and an array of creative methodology. 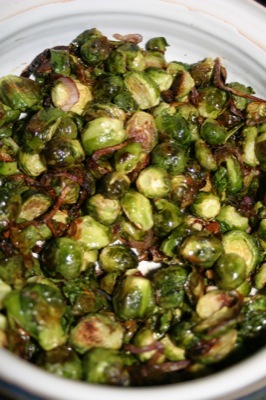 For these sprouts, you "blast" them in a 450 degree oven, which caramelizes them while leaving them with a nice snap. They were sweet and simple. Next on the list was to use up some locally made sausage that we were excited to try. There was a recipe in the winter section titled, "sausage with apples and onions". This was perfect for us. We always have a few bags of apples in the garage from the in-laws and there is only so much apple sauce, cobbler and pies that one family can eat. Again, it was simple--just six ingredients. If you see a pattern forming here, you are correct. The beauty of this book is that if you shop at the farmers market and other places selling local fare, it fits right in. Whatever you come home with, from kohlrabi to horseradish, its in the book. This works for me. I like to go see what is at the market, come home, and then figure out what to eat. All too often, when working out of a cookbook, you find a recipe, make a list, and then go find the ingredients. Plus, since it is organized by season, you are not limited to searching the index. It also works for those who like to go out and find their own food. Fishermen will find recipes for cornmeal dusted panfish, planked whitefish and more. Hunters will find recipes using rabbit, pheasant, venison and duck. There are also a few recipes using wild mushrooms for the many foragers or those who buy wild mushrooms from the market. With over 200 recipes based on our Northern climate and seasons, this book should work for just about anyone whose winters involve snow and summers are inhabited by mosquitos. Finally, I really appreciate the sections at the beginning of every season listing "five dishes in five minutes or less", featuring radicchio, sunchokes, bacon, sweet corn, etc. All in all, this has proven to be a very useful cookbook for a whole range of food lovers, whether you want to learn a bit, find some inspiration, or dive in and cook. Grease a 9x9 pan, a large loaf pan or a muffin pan. Mix the dry in one bowl and the wet in another. Place mixture in greased pan, making sure that it is not more than 2/3 full. Bake until golden and a toothpick inserted into the center comes out clean (approx 20-25 minutes for a pan or 10-15 minutes for muffins). Cool on a wire rack and turn out of the pan after 5 minutes. Place sausages in a skillet with enough water so that they are almost half covered. Cook over med to med-low heat until water has evaporated, 15-20 minutes. Add 1 T butter and brown sausage. Set aside. Add remaining butter to pan and cook onions until wilted, about 4-5 minutes. Add apples and cook mixture until lightly browned, about 3 minutes. Pour enough cider into the pan to cover the bottom and stir to remove any bits stuck to the pan. 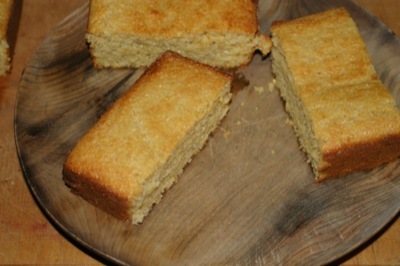 Continue to cook until the liquid is reduced and forms a thick glaze. 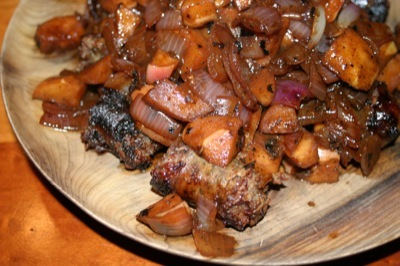 Spoon the apples and onions over the sausage and serve with thick, crusty bread or potatoes. Many thanks to the folks at the U of M press for the review copy of Beth Dooley's The Northern Heartland Kitchen. 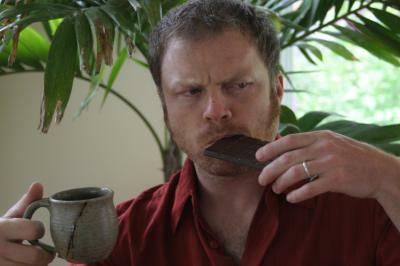 Lawrence Black is a writer and editor at Simple, Good and Tasty. He can be reached at lawrence@simplegoodandtasty.com.